Developed by QRP in-house experts, our fully accredited PRINCE2 Foundation e-learning has been taken from the official PRINCE2 2017 syllabus and made into an interactive and exclusive online training solution in order to prepare you for the PRINCE2 Foundation exam and PRINCE2 Practitioner exam, and even more. The e-learning is broken into 20 bite sized lessons which include videos, quizzes and a collection of interactive readings that provide more in-depth detail on the PRINCE2 method. In order to create knowledge retention we have included the Q-Trainer functionality – it is a tool that repeats questions in such a way that the knowledge will be stored in your long-term memory. All those items combined with the 2 PRINCE2 Foundation exams simulator and the online tutor support ensure that you gain the required level of knowledge to obtain the PRINCE2 Foundation Certification. 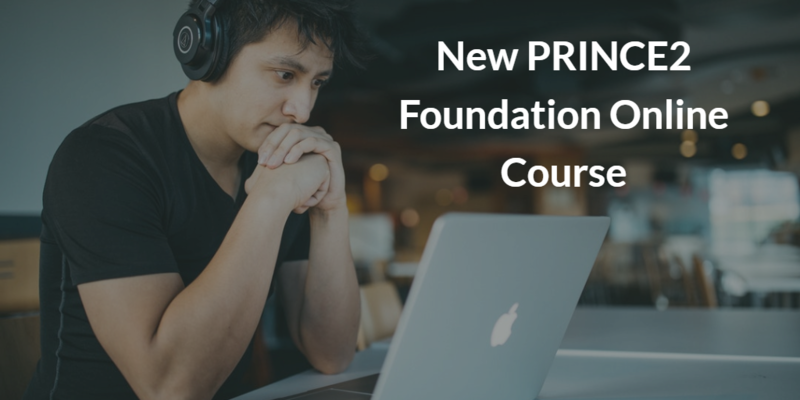 The PRINCE2 Foundation & Practitioner exam will take place online thanks to the remote ProctorU technology which gives you the freedom to take your exams at a time and location convenient for you, using a webcam and a reliable high-speed connection. With an ever growing database of test questions and 2 complete PRINCE2 Foundation mock exams, you are assured all aspect will be covered and all subjects continuously tested against your knowledge to ensure the best possible preparation towards sitting the official PRINCE2 Foundation exam. In the PRINCE2 Practitioner online course, there are 2 project Scenario exercises that will prepare you for the practitioner exam. Our experienced PRINCE2 experts explain the method through a wide range of video, interactive readings and practice exam questions, which will help you to not only know PRINCE2 and obtain the PRINCE2 Foundation & PRINCE2 Practitioner certification, but also apply it for your projects. The course has been designed to ensure that it provides an interactive and engaging explanation of the PRINCE2 method. Anytime, anywhere… any device: you can access the PRINCE2 online course from all types of devices (laptops, smartphones or tablets), wherever you want and whenever you want, and without having to take time off work. So you can learn at a pace that suits you, at home, at work or on the go!